Explore its local neighbourhoods, colorful markets, places of natural beauty and meets the people who retain their connections to their customs and traditions. Not forgetting hours of endless shopping and dining adventure at Michelin-star restaurants or renowned local eateries. 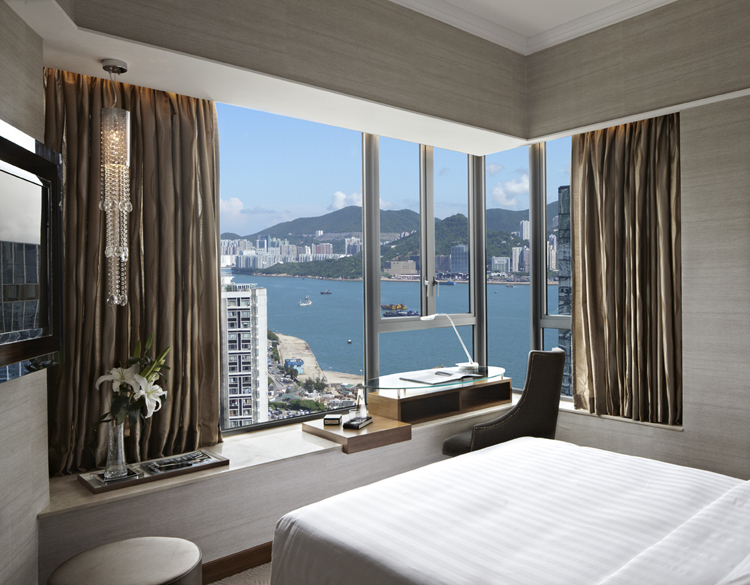 This is Hong Kong, Asia’s world city and home to one of our hotels, Dorsett Kwun Tong. A chic business hotel located in the heart of Kowloon East – Kwun Tong, a newly developed commercial hub in Hong Kong, Dorsett Kwun Tong is just a 8-minute walk away from the MTR station and offers convenient access to a variety of nearby shopping and dining options. The hotel offers 361 elegantly appointed guest rooms and suites complemented by a unique combination of unrivalled facilities and amenities such as 24-hour business centre, outdoor swimming pool and health club, free WiFi Internet access throughout the hotel, as well as free scheduled shuttle bus service to and from apm and MegaBox shopping mall, Tsim Sha Tsui and Airport Express Kowloon Station. For food connoisseurs, the hotel’s supreme Chinese restaurant La Maison de 1’Orient features an exquisite combinations of fusion and Cantonese specialties while the Poolside Lounge is just ideal to chill out and unwind with an afternoon tea. For meetings and banquets, the hotel offers a total of 226.2 sq. m of meeting spaces with combined banquet capacity of 192 people. · Book a triple room and enjoy a free upgrade to a suite. This offer is valid from 1 September to 31 October 2013 and subject to a minimum of two consecutive nights stay. Other terms and conditions may apply.